~William Wordsworth, “Preface to Lyrical Ballads"
Literary masterpieces, written pieces of artistic technique, acknowledged and accepted in ancient societies into the society we live in today, has instructed, informed, enlightened, and entertained generations. From the beginning works of ancient classic literature into the modern world of literature today, literary masterpieces have expanded the consciousness of man. Literary masterpieces have been, and continue to bestudied, analyzed, and criticized. Generations of literary scholars and students of literature have sought to define, classify, and determine the role each piece literature has on society today as well as societies and cultures before them. Classic literature stimulates the human thought process today as it did in the ancient cultures. Through a writer’s written technique, cultures have read myths about life’s questions concerning the creation of humanity, why they have been created, and promises of an eternal life. Epic poetry has dealt with war, heroes, and everyday living that draws the mind to morality, ethics, and conduct. The Romantic Era and its literary genius drew the beauty of the world into words; including politics, war, love, and nature. It is through these literary masterpieces; I found understanding and appreciation of genius of thought, along with the artistic written techniques of classical literature. The creation of characters and the drama that flows from them, enhances my thinking process through the writer’s purpose and meaning of intent. Coming to an understanding of intent through allegory and symbolism of the words used within the context of various works, has deepened my comprehension of literary masterpieces. The results of deepened thought go beyond my expectations, as I encounter and read more works of classical literature. I believe these literary works enhances the sense of spirituality and mortality in life, and can have an enormous impact upon today’s society. Beginning with the Ancient Period of literature, up to today’s Contemporary literary masterpieces, the standards and qualities found within the pages affects the reader. The art of literature which individuals bring, draws emotion through their writing. They play an enormous role today as they did in the ancient cultures. Though cultures and political ideals have been ever changing, the standard and qualities that make literature a masterpiece remains the same. Literary masterpieces and its human expression of symbolic value will continue to possess the reader with powerful and emotional words. 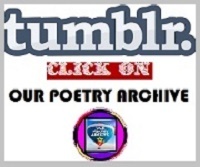 Please take time and enjoy the talent Our Poetry Archive has added to the February 2018 General Edition. This February we are also introducing fifteen new poets for the first time. 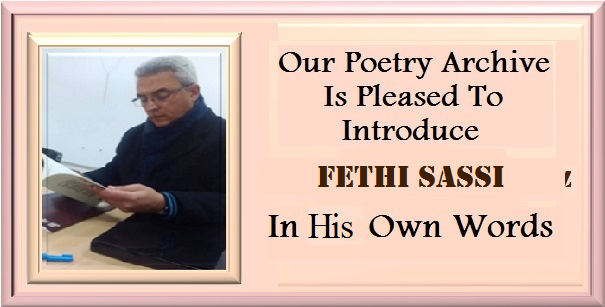 We are also glad to present Poet Fethi Sassi of Tunisia as the Poet Of the Month. Readers will find the interview with the poet for the first time in OPA. 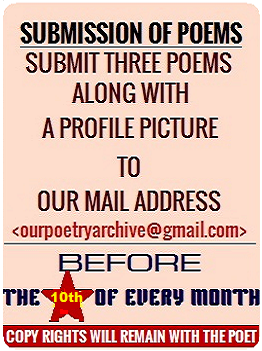 We sincerely thank each poet and reader who is actively involved in this wonderful monthly web journal and continued their support of Our Poetry Archive. 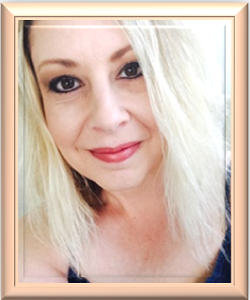 Author Stacia Lynn Reynolds, editor, sincerely thanks each poet, poetess and reader who is actively involved in this wonderful blog and continued support of Our Poetry Archive! FETHI SASSI: I’ve been writing poetry from my first young days, since I’m twelve years old. Since my early days I was fascinated about reading; I kept to choose most kind of excellent books that give me a great chance to increase my knowledge; this kind of reading make my level going better. At first my favourite poets was the old Arabic ones that offers me the chance to try the poetic rhythm and exercises my writing deeply. Second I was interested by the Syrian poet Nizar kabani and the Palestinian Mahmoud Derwich inspired me a lot in the poetry world and teaches me more technical method writing and more words and verbs from the dictionary. Therefore my pictures begin to belong to a different imagination. That’s why I ‘m sure about inspiration as a guiding power that goes far in writing and keep ideas flowing one by one. FETHI SASSI: All poets and writers has the possibility to be under the criticism provocation; indeed in my weekly meeting with some important poets and academia teachers who’s try to explain to me how can we get a successful poem by discovering a new method of writing and they try always to correct the general ways of my writing to improve better. My biggest complement was writing the modern poem comparing to the new wave of poetry. but there is a strange ideas of some poets affirming that there is only one way to write Arabic poetry with the kalil verses. As a fanatic attitude make me upset. FETHI SASSI: I can never imagine a favourite poem because I don’t make comparison between them. Just I compare my sons; all they have different tastes and they have been made and written in different world and feelings too. Even the first ones; it was my first guest on my whiteness. From the beginning I don’t write with the same ability I become more joined to my world as I built a cave to live in with too many special rituals. FETHI SASSI: This is really a big hope to be a poet or a writer. As a prophet that gives for all people the way to live more with love and peace. Always convert the poet his great hopes for love to others by writing. Many lines or a poem even a whole book; a promise to live more in happiness and a passport for humanity to give a chance for tomorrow. FETHI SASSI: I can never do it because in my country there is no job in poetry or writer. We do this with passion and we spend our own money to publish books you can never compare us as the developed countries when you see the culture is an industry. This is really incomparable and I hope that one day we can achieve this level. FETHI SASSI: I can see that writing and reading are the most important thing in my life. And I was all my life in the way to do it with nonstop. I always practice my second passion as canary breeders. I have now an important number of canaries that they are my lonely friends and fellows. It is really a great pleasure to be the hole day in the accompany of such creature. FETHI SASSI: Yes, really it is very primordial to live in the poetry world, but only for the person who has the possibility to give something of the readers, to benefit the knowledge of others; and subtract questions ready for a new look and new answers. Every writer and poet contributes in the general history of the mankind by completing the missed sentences that solve existence and the legendary heavy questions. FETHI SASSI: To write poetry is not to answer questions but to try to ask differently. This is most of the big lesson that I have done and keep understood. Really I see differently this fantastic world and always I try to answer my questions differently and answer too. the poetry is the unusual view to everything. FETHI SASSI: In general most people bother about literature; it is the wrong way that they like to be in. But if they consider that talking is never be efficient and writing is the perfect method to go in excellent discussion with everything. The new life and the technology that beats our daily life, offer for us only everything with no effort and they have no more time to think about. FETHI SASSI: Yes, I think so. Literature can have an important effect to join for humanity the understanding between tradition and modernism in the simple way that the modern things are no more than the new way of tradition; we have to believe the big relation between them. Every field has to make a great development in the built of such things. 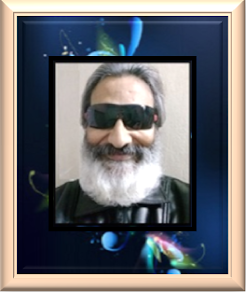 FETHI SASSI: I don’t think so because the society cannot help the creator to shape; as he advances lonely to charge his world. 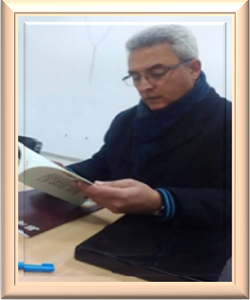 FETHI SASSI: More influences has inspired my poetry and writings are my readings and my relation with important poets, our contact improved my level of writing because changing experiences is so important. FETHI SASSI: My country has a great and important literary heritage from the last century We can observe most of poets and writers with too much works in different literary object; all those are preparing the way for us to make more important writing. FETHI SASSI: Really we are the product of our society and nationality. we keep to belong For it and for all the chances that it offer for us. more the nation tries to give for her writers and poets the real value and to give all the possibilities in a hard and power work more the train of the art will go faster. 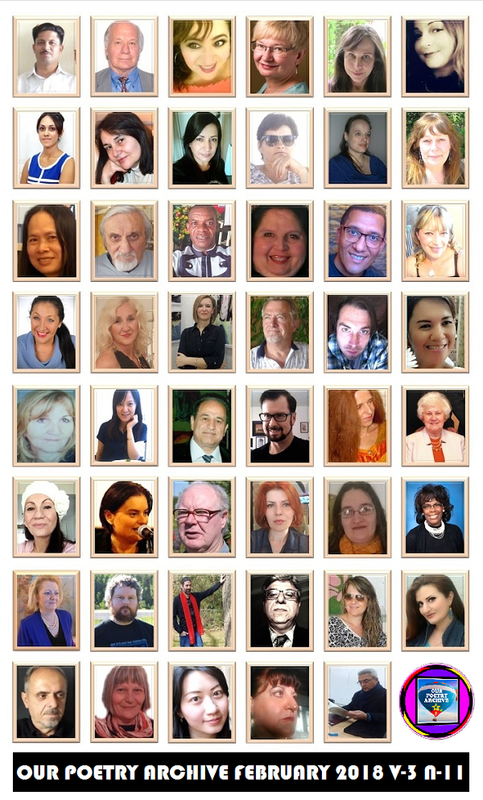 To become an international writer is a personal purpose, if the writer live with a great ambitions he can go greater with time to become very known but step by step. 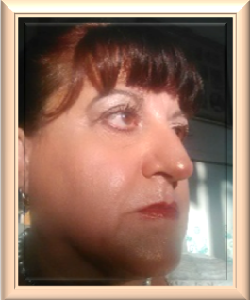 FETHI SASSI: Love- happiness- beauty- peace- poetry – book- body – philosophy-Woman- the impossible poem. FETHI SASSI: I like to give for all my readers to try everyday reading some books, to try seeing the world in our place to admire the world where we already live. To see, how we can together change this world just by one poem. in the basements of her smile . as you walk follow the names. Nothing in the universe remains in the same state. you really ignore what will happen to the wind ! if you persist in the shadows . as a desire night . We were young and the wind knew us. We carried the wheat fell to our smiles our neighborhood walls. They don’t know that you’re living in the street of the speech. to stay alone in the fog as a grass embroidered in water. I don’t remember my name. I hid my shadow every night in the bottle of twilight . Night , come with me where I don’t know ! there so far in the forest names ! wear your clothes, no spot on it. to write a rose at the lowest cost. 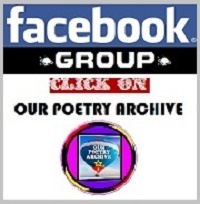 why the ache of my poem hurts me ? The color of my poem in the wound is sweeter. I am the one who doesn’t understand the ache of absence. before the poem closes its balcony. This poem is my room. I have a pen and a paper, and a napkin to keep the deceased. Where I am trying alone . I don’t need an address or postman. I will throw my words on my balcony for the doves to eat. And restore my kisses to the size of lovers. But I don’t need all that. to stone me with a look at a sad evening …. pushes me into the abyss. i am searching for allies, to beat it. to slip by it , to save myself. And never to be defeated by it. To make it obey to what i want. for the joy of life. what ever life i am left with. the earth , the water. it searches for the embrace. to compete for the wreath. YIOULA IOANNOU PATSALIDOU was born and raised in Avgorou Famagusta Cyprus. She descends from the historical wealthy family of Ioannis Gonemi but the property of the family has been stolen by government employees after the Turkish invasion in her country in 1974. After graduating from Pancyprian Lyceum of Larnaca , she pursued studies in photography and French language and civilization in Lyon France. She participated in performances of a music dance group. Later she created a famous everyday six hour radio show at a local private radio station. She has published five collections of short stories, fairy tales and poems. She has participated in many internationals anthologies supporting the peace and she was awarded many times. Stamp, and hide deep in amniotic fluid. Humming—fiddling with the fluid to sleep. Notes—I’m waving a baton in dream. Love of tears night after night. Amniotic fluid readily serving as my tears. Do I realize--what love is. YANG CHI-CHU,（b. 1981）, a doctoral student in Comparative Literature at Fu Jen Catholic University, Taiwan, specialized in East Asian Literature in the period of 1930s. 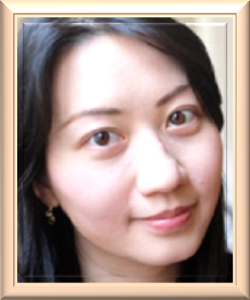 She published her master thesis “Interdisciplinary Adaptation: A Study of the Narrative and TV series of the Trilogy of Wintry Night” in 2010,as well as poetry books “Living Among Cities” in 2016 and “In the season of Summer LotusBlossom” in 2017. She participated 2014“Tras las Huellas del Poeta” International poetry meeting in Chile, 2016 Formosa International Poetry Festival in Tamsui, Taiwan, and 2017 Capulí Vallejo y Su Tierra in Peru. 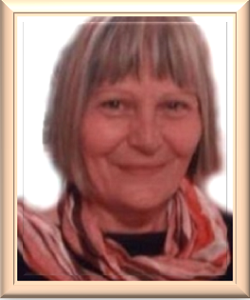 VERICA TADIĆ was born on 08.12.1949 in Donji Dubac (Municipality of Guča, Western Serbia). She graduated from the Economics Faculty in Kragujevac. 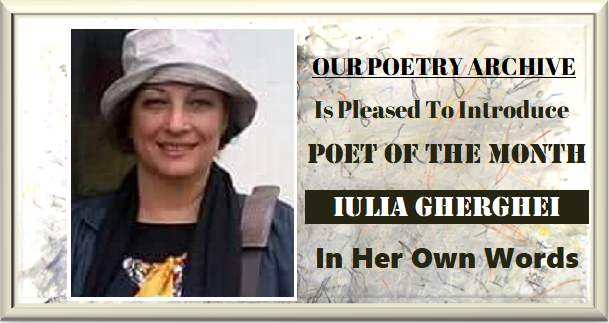 She has been publishing contemporary poetry, haiku poems, essays, reviews, studies, stories, maxims and aphorisms in domestic and international magazines and joint publications. She is represented in numerous literary editions and magazines, in forty joint books, as well as in eight anthologies of Serbian writers, two anthologies of Balkan writers and one world anthology.